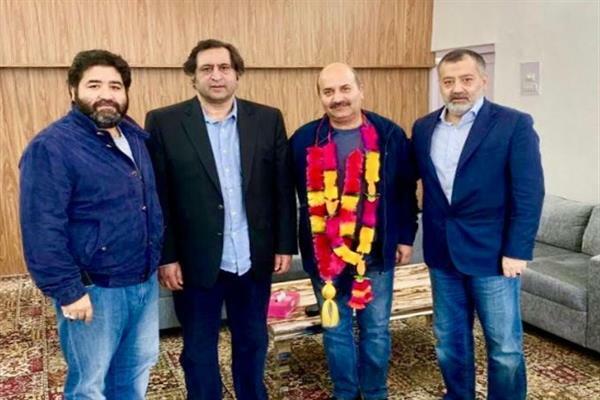 Srinagar, Mar 10 : Former PDP Migrant Wing General Secretary from Habba Kadal Rajinder Koul today joined JK People’s Conference in presence of Chairman Sajad Gani Lone, General Secretary Imran Ansari & Srinagar Parliament candidate Irfan Ansari. While welcoming Rajinder Koul to PC, Sajad Gani Lone said that Pandits form essential part of Kashmir and the age old bond between Kashmiri Muslims and Pandits must be revived. He expressed hope that the joining of Rajinder Koul will further strengthen the party’s resolve to work towards dignified and permanent return of the Kashmir Pandits. “Both communities must strive towards realizing the dream of dignified return of Pandits to the Valley. The pain of the past must not become an impediment for the future”, he added.